An elder law attorney typically ensures that the needs of seniors are met, either now or in the future. Needs include long-term care and asset planning and management. Working alongside an elder law attorney can be helpful for ensuring a secure future for you as well as your loved ones. A tailored approach is essential for success when it comes to long-term care. Every situation is unique, and no one person has the same needs (especially in regards to long-term care and asset management). An elder care lawyer will work with you to determine the best route of action you should take to care for you or your loved one’s assets. Long-term care costs can be substantial, and trying to figure out how to pay for long-term care can be stressful. An elder law attorney helps you understand Medicaid and Medicare benefits, for example, as these options can be confusing for anyone first learning about these plans. A qualified elder care attorney should also be able to recommend and discuss other specific insurance plan options for long-term care needs. An individual’s assets, including house and finances, are typically passed on to family members or loved ones. However, if these assets aren’t managed legally, they can wind up in the wrong hands and cause unnecessary distress for future heirs. An elder law attorney can help you with asset or estate planning while ensuring you’re meeting all the requirements for Medicaid, if you are seeking to use this insurance option. 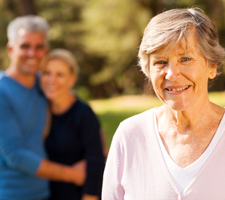 Before seeking an elder law attorney, make sure you’re working with a professional team of experienced attorneys dealing with elder law on a daily basis. 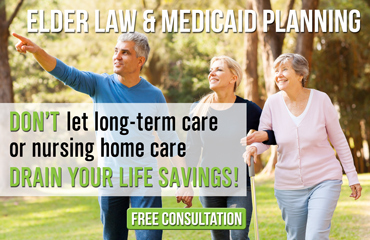 At The Elder Law Firm PC, we have many years of experience providing Medicaid planning for Michigan residents seeking assistance covering long-term healthcare costs. If you wish to learn more about Medicare, like eligibility requirements and the difference between Medicare and Medicaid, or wish to discuss your long-term care options, feel free to call us at (877) 933-7252. Grand Rapids-area residents can also attend a free seminar led by attorney The Elder Law Firm PC regarding Medicaid planning throughout each month.